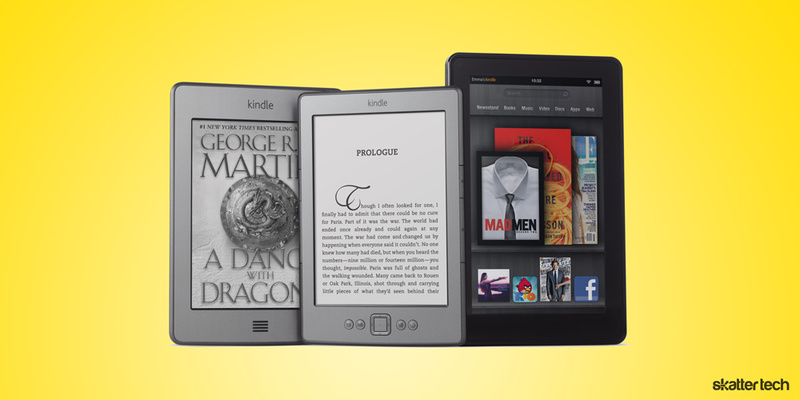 Earlier today, Amazon CEO Jeff Bezos announced four new Kindle devices at a press conference in Seattle. The new offerings start at an affordable $79 price-point for a basic e-book reader and a premium multimedia-rich Kindle Fire retails for $199. For those wondering, Amazon clearly isn’t limiting itself to eBooks. The latest tablet runs on Android and has some rather impressive hardware at an attractive price-point. For those who do not need the bells and whistles of a tablet, the $79 Kindle offers the bare essentials for an eBook reader. According to Amazing, this device is 30% lighter than the previous iteration at just 5.98 ounces. It is also apparently 18% smaller and flips pages 10% faster. The 6-inch e-Ink display makes reading easy even under direct sunlight. This Kindle also comes with WiFi connectivity, a web browser, a 1 month battery life, 2 GB of storage, and Amazon Cloud Storage. For those looking to do a little more, Amazon offers two Kindle Touch models. A 3G enabled iteration that works in over 100 countries goes for $149 without any contracts or monthly fees. A WiFi-only model retails for $99. 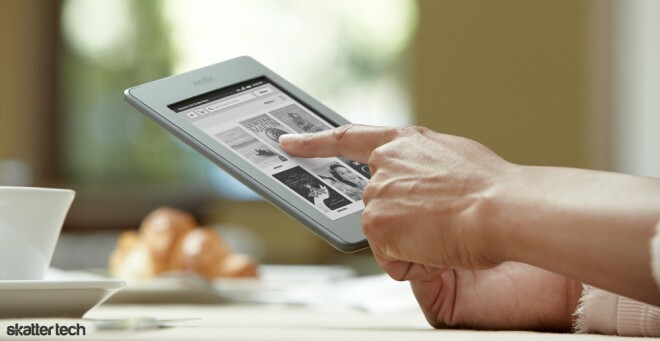 The 6-inch e-Ink screen supports browsing the web in addition to displaying books, newspapers, and magazines. Amazon notes a 2 month battery life but did not mention whether the 3G iteration has a higher capacity battery. The on-board storage for the Kindle Touch also gets a boost to 4 GB for twice as much content. The main differentiating factor between this tablet and the basic $79 Kindle is a touch-enabled e-Ink display. Rather than having to use a 5-way directional pad for navigation, users can directly interact with the display for a more natural experience. 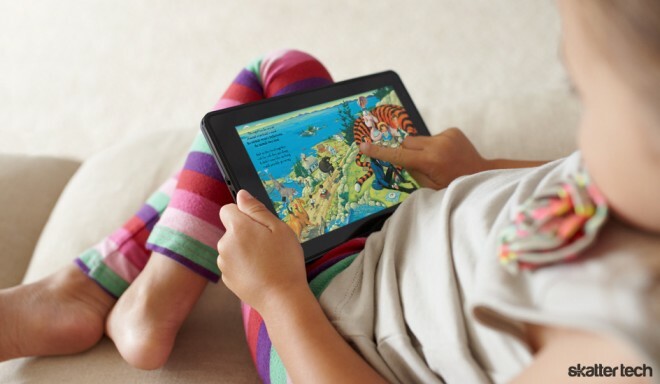 Those looking to go beyond reading should consider the $199 Kindle Fire. This tablet offers access to over 100k movies and TV shows through Amazon Instant Video. Amazon Prime members can even stream from a selection of over 11k of these for no additional cost. Amazon MP3 offers access to 17 million songs to complement the library of 1 million Kindle books, 100 graphic novels, magazines, and newspapers. While all other Kindle models have a e-Ink screen, the Kindle Fire has a 7 inch color IPS display with a high 169 ppi density. A dual-core processor may offer fast performance, but battery life unfortunately takes a major hit coming in at just 8 hours for reading or 7.5 hours for video playback. The tablet also has 8 GB of internal storage and free cloud storage for Amazon content too. Thanks to the underlying Android operating system, the Kindle Fire supports games such as Angry Birds, Plants vs. Zombies, or Cut the Rope through the Amazon App Store. A new cloud-accelerated browser going with the name Silk helps accelerate surfing the web with help from Amazon’s EC2 servers — much like Opera Mini. Amazon Whispersync now supports synchronizing and remembering where you last left watching a movie or TV show in addition to a specific page of a book. The Kindle Fire also comes with a month-long Amazon Prime subscription.